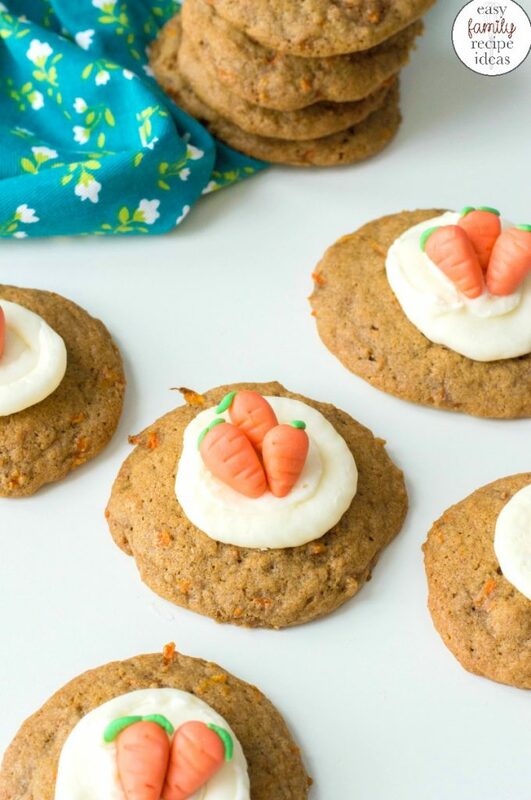 Spring is here, and these delicious Carrot Cake Cookies are the perfect treat for a Sunday brunch, Mother’s Day or Easter celebration. 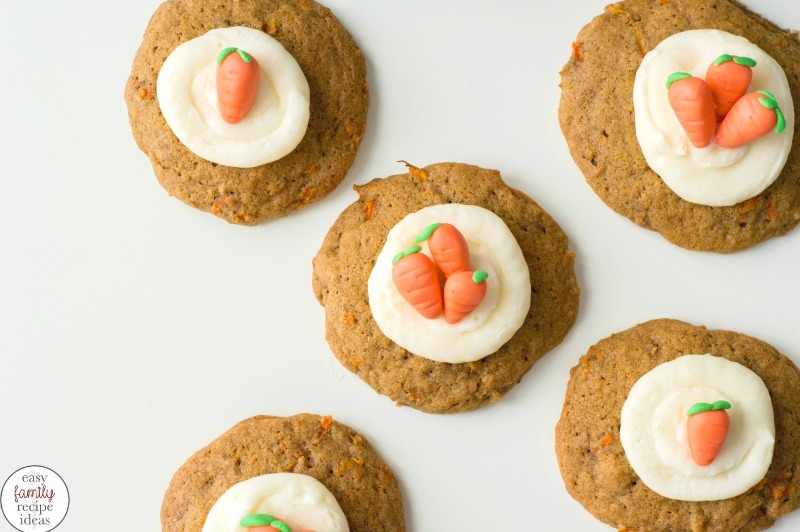 Soft baked Carrot cookies that look adorable and taste absolutely scrumptious. 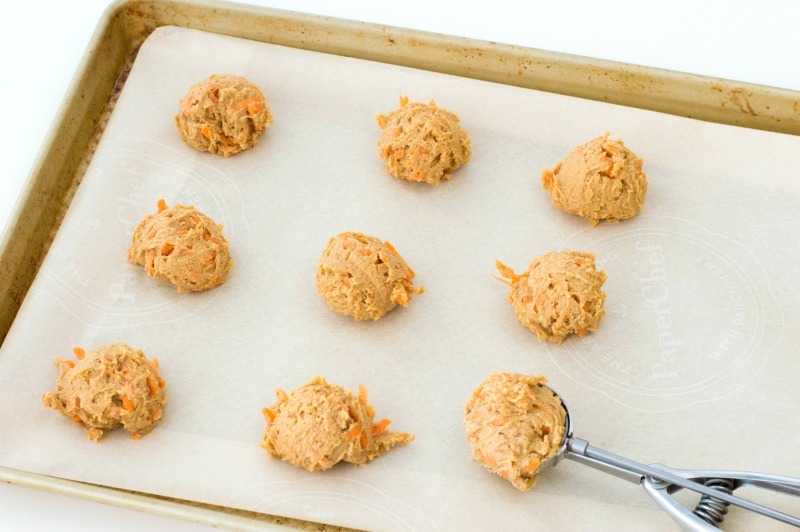 Adding fresh shredded carrots into these yummy cookies makes them look good and taste moist and full of flavor. 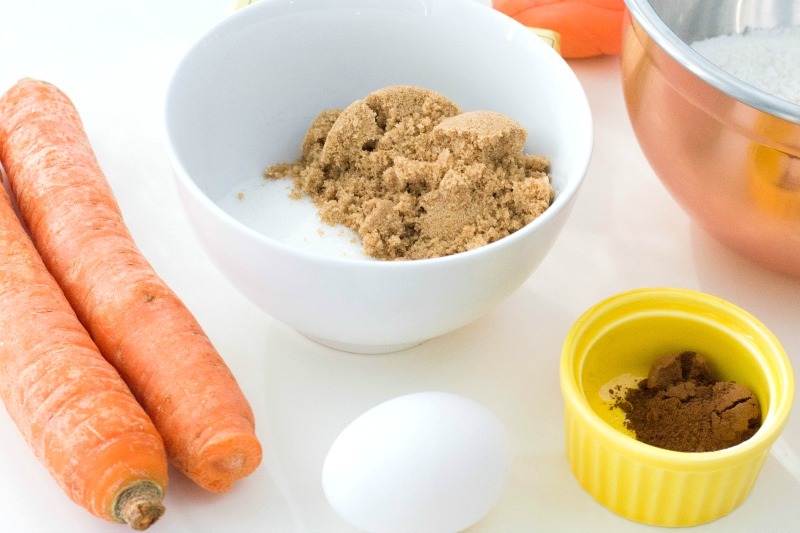 Plus, adding carrots makes them healthier cookies and we all love that. 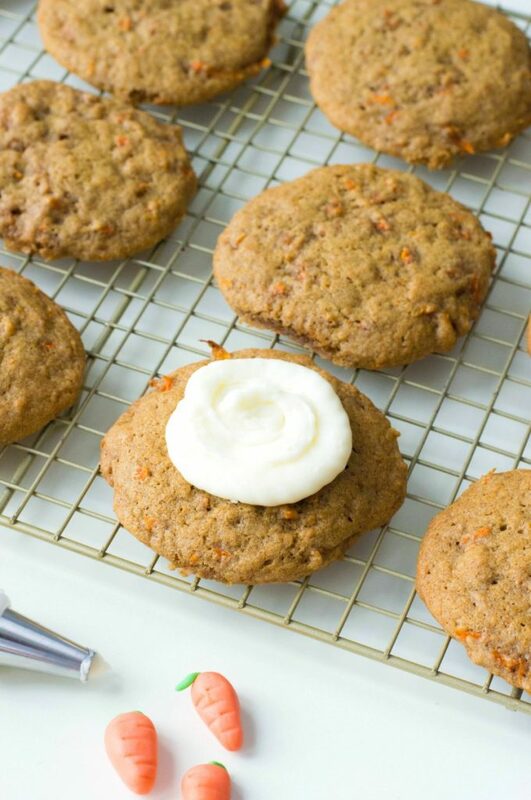 These carrot cookies taste just like carrot cake but better! 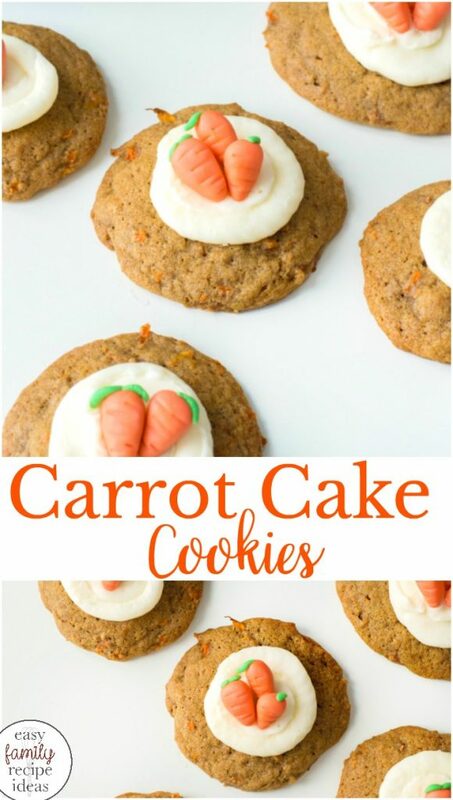 What you will need to make these Carrot Cookies Recipe is in this picture below. However, I have it displayed in a recipe list form to print out towards the bottom of the page. 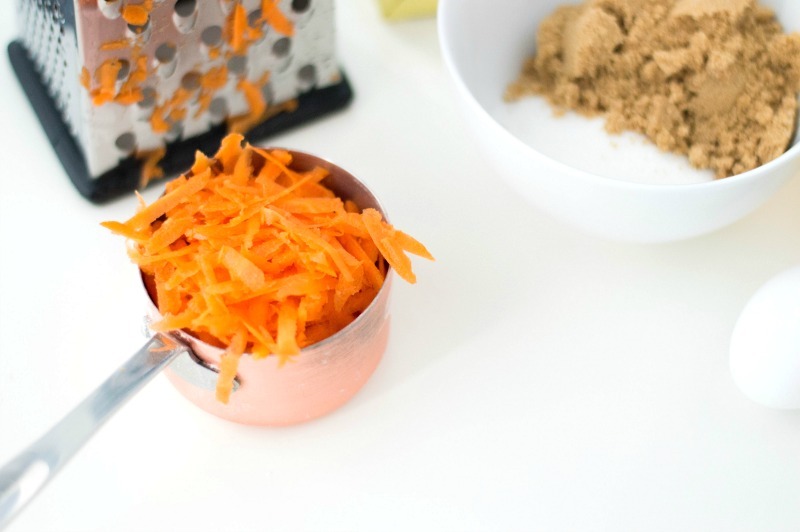 This recipe makes approximately one dozen delicious carrot cookies. Start with a large bowl and an electric mixer to beat both sugars, egg, and butter. 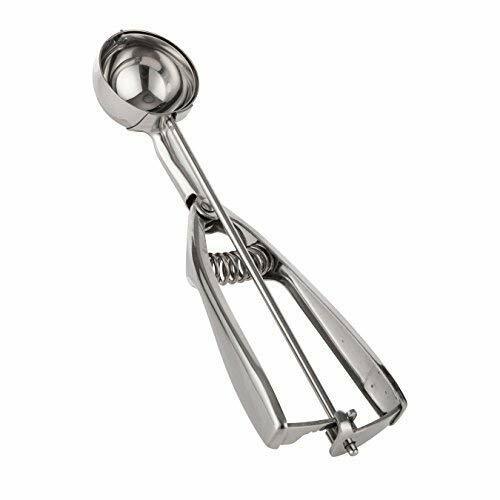 You can use a hand mixer or stand mixer, whichever you prefer. Mix it until it’s creamy. Sift together flour, baking soda, cinnamon, and salt. 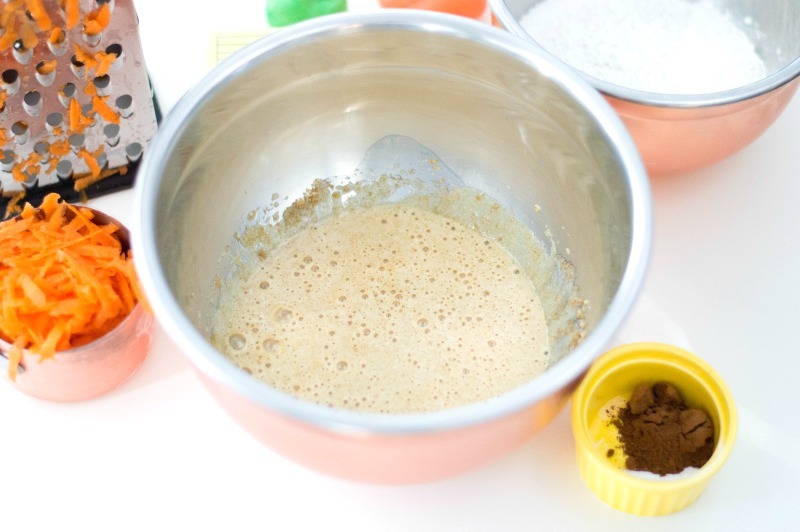 Add your dry ingredients into wet ingredients and beat until the batter forms. Add shredded carrots and mix thoroughly. If you don’t want to take the time to shred carrots you can always buy a bag already shredded. 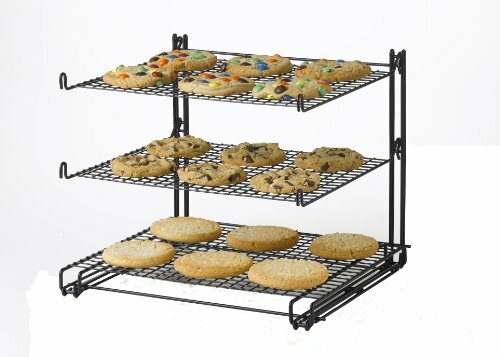 Bake your cookies for 12-15 minutes and allow them to cool completely before decorating. Make buttercream by beating butter, icing sugar and milk. 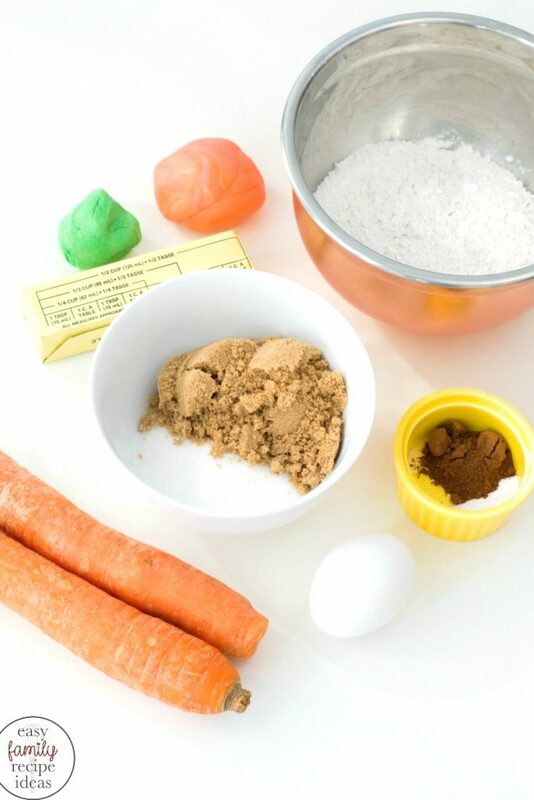 Once ingredients are smooth and well-combined, scoop into a piping bag or plastic bag with a round tip attached. If you want to make decorating easier you can purchase a jar of store-bought cream cheese frosting. 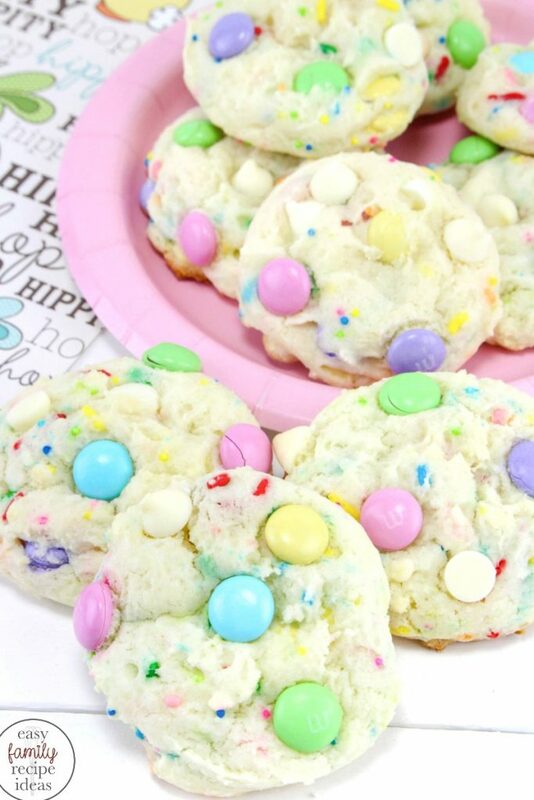 Frost the center of each cookie. 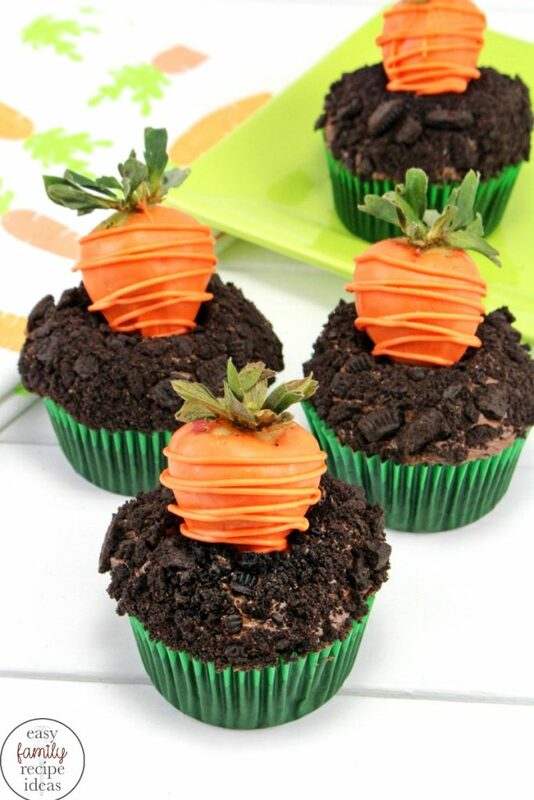 For the carrots roll out 15-20 spheres of orange fondant – about ½ an inch in size. 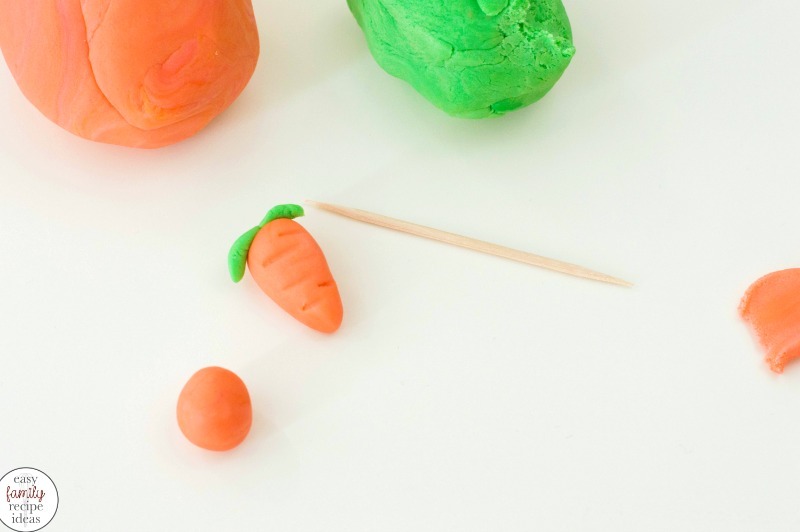 Shape them into cylinders and then press a small piece of green fondant on the top of each orange piece. 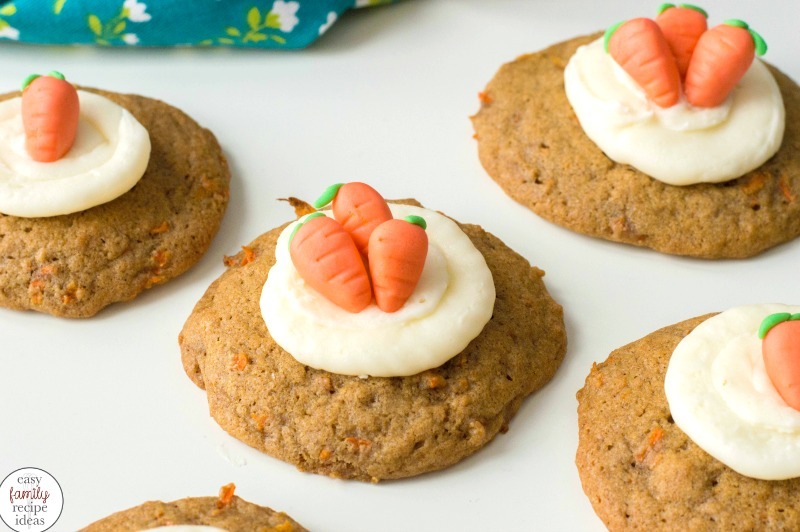 Don’t these Carrot Cookies look perfect for an Easter brunch?! 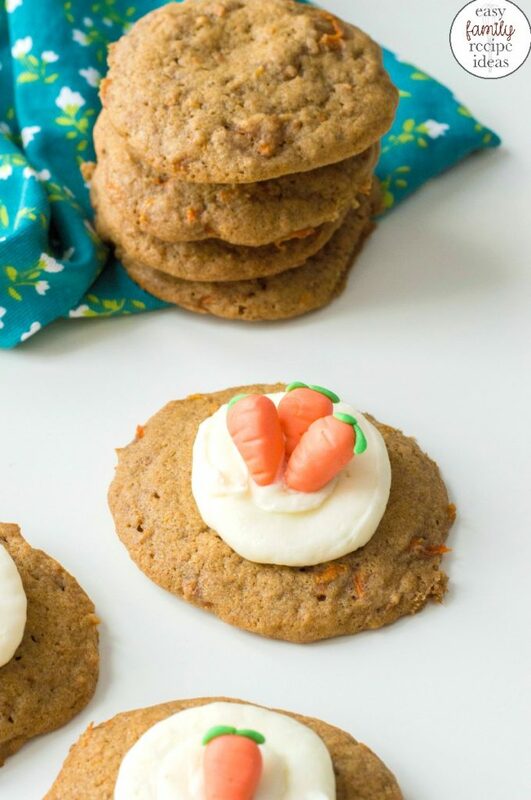 Whenever these carrot cake cookies are served the kids can’t stop eating them. 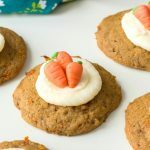 Carrot Cake and Carrot Patch ideas are definitely spring desserts our family looks forward to all year. Make buttercream by beating butter, icing sugar and milk. Once ingredients are smooth and well-combined, scoop into a piping bag with a round tip attached. 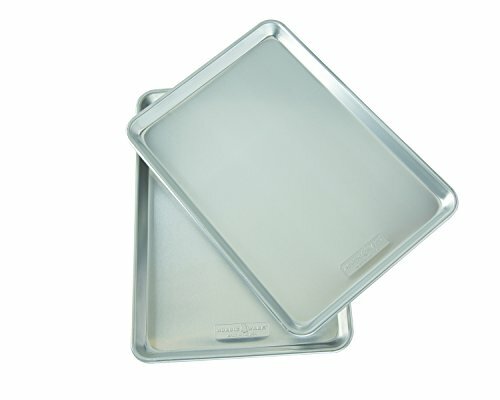 You can also use a plastic bag and cut a small hole in the corner to use for piping the icing. 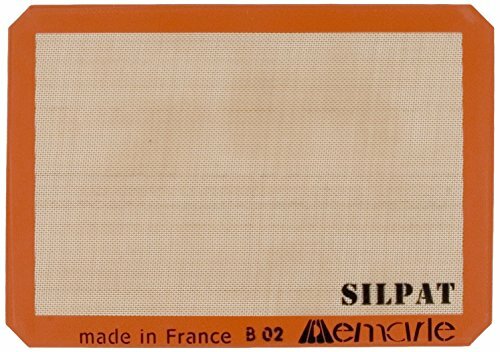 Roll out 15-20 spheres of orange fondant – about ½ an inch in size. Shape them into cylinders.